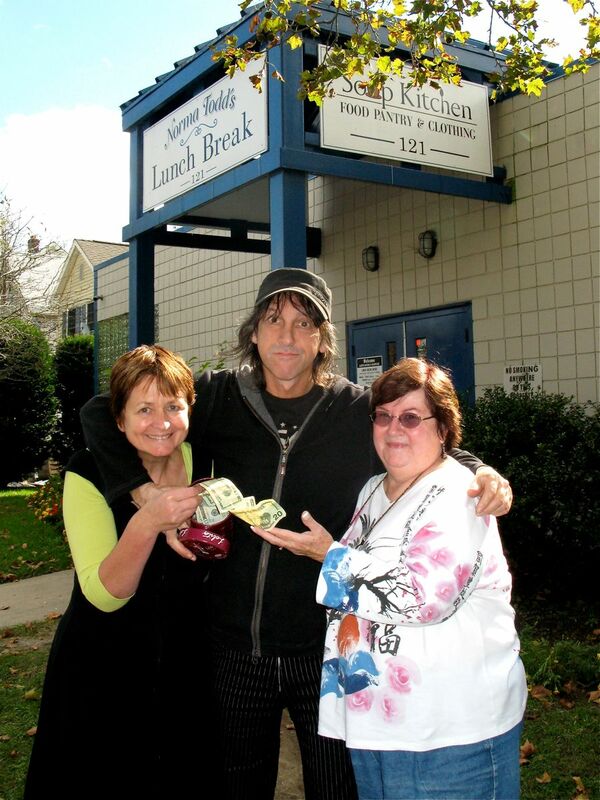 Helping those in need -- with a little help from my photos. 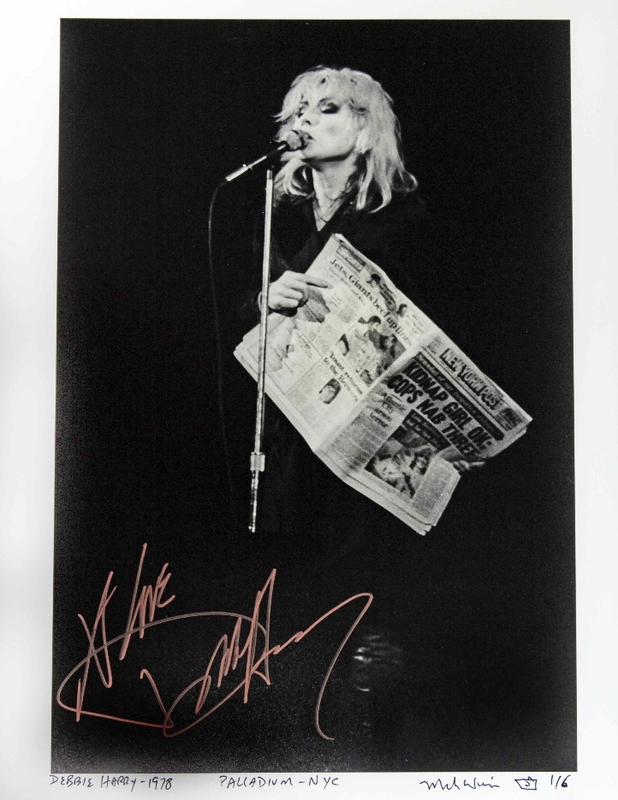 I am often asked by charities to donate my classic photographs from the 70s and 80s. 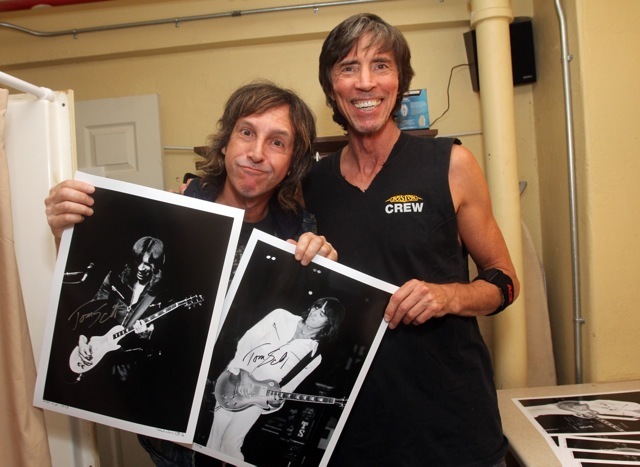 I would have never imagined when I was 16 and sneaking my camera into concerts that I could make a living out of it, much less help out some people in my own hometown by donating the sale of these photos some 30 years later. 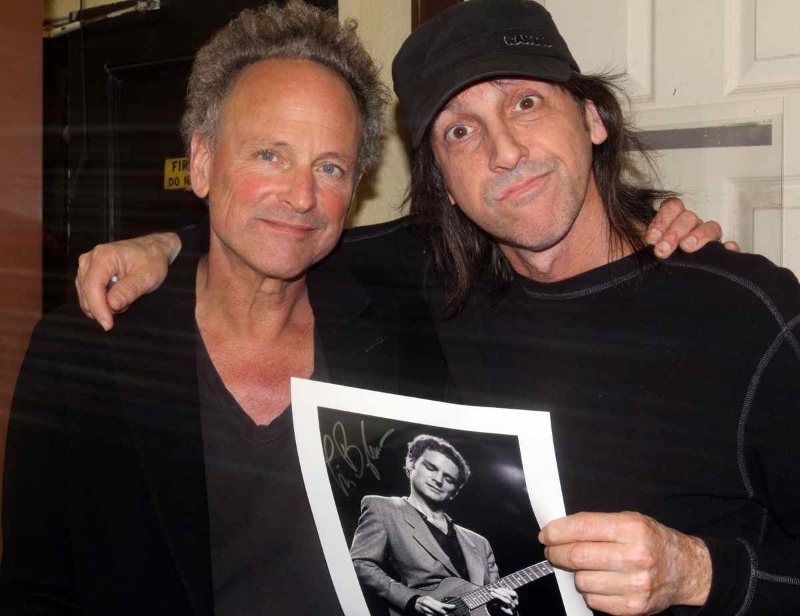 My work as a rock n roll photographer has been a dream come true to this very day, and it’s time to give back. 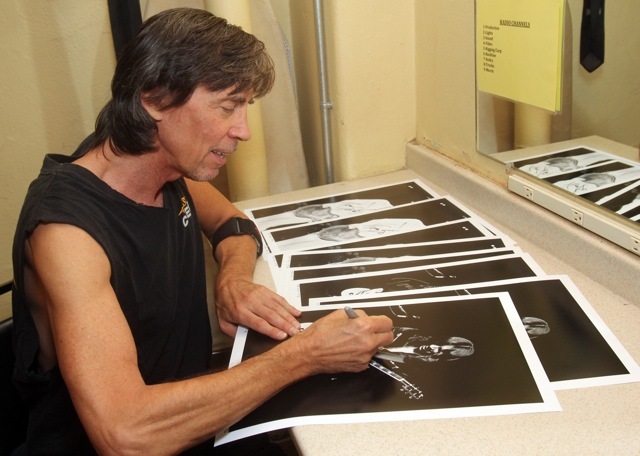 The same photographs that I sold in front of the concerts for $1.00 a piece, now sell for hundreds of dollars through galleries. 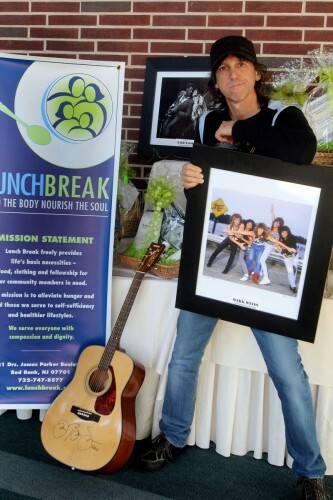 In October 2011 I became aware of LUNCH BREAK in Red Bank, NJ they were having their annual Gala This wonderful organization has been providing life’s most basic necessities to people in need since 1983. 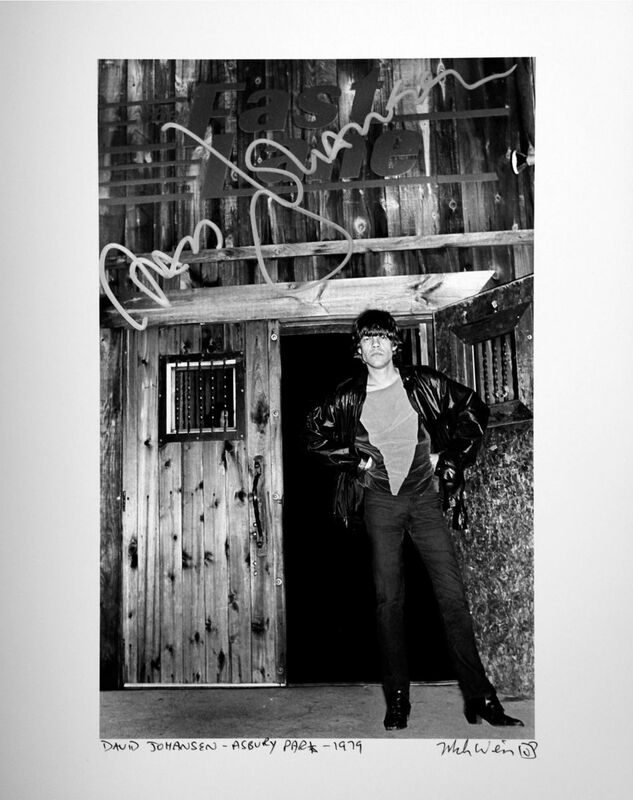 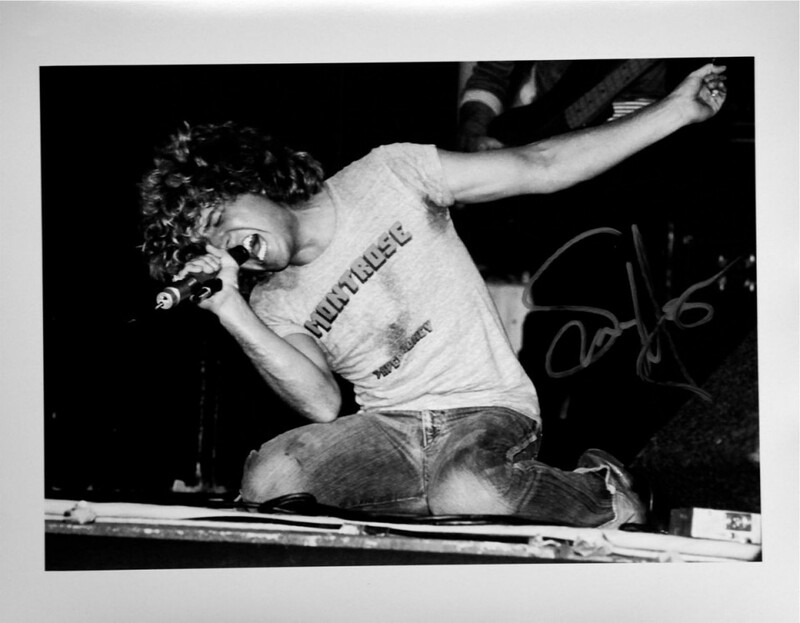 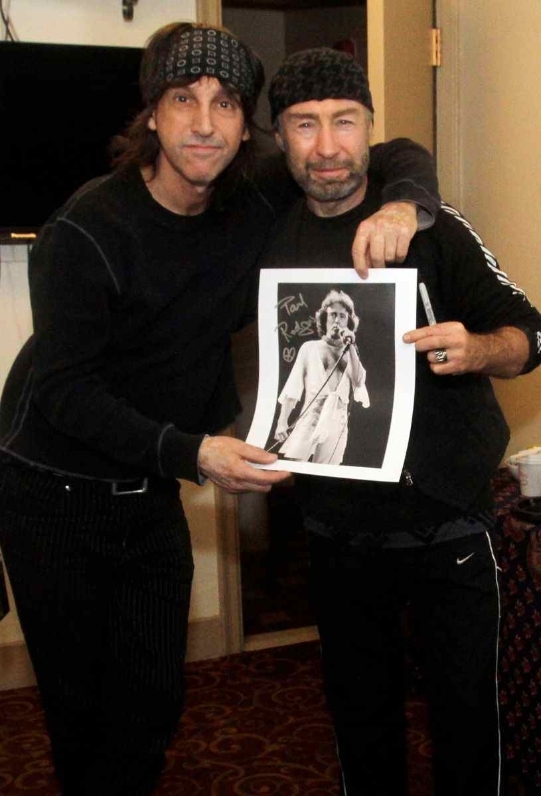 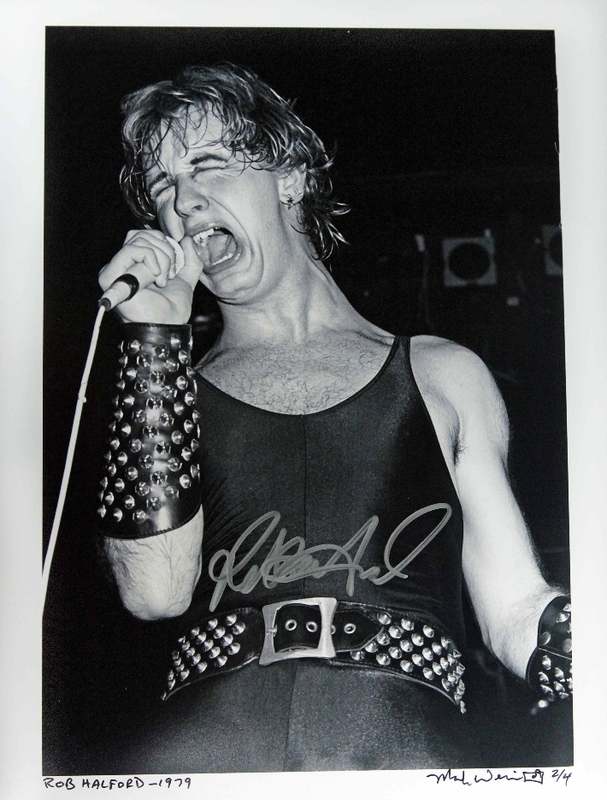 I donated a photograph from some hometown heroes, BON JOVI, from a shoot I did in 1986, which was auctioned off along with a signed guitar from Jon. 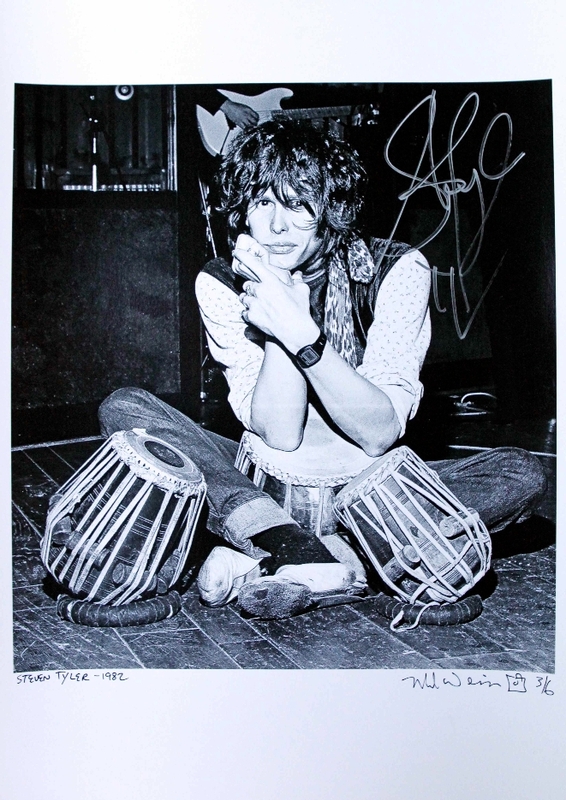 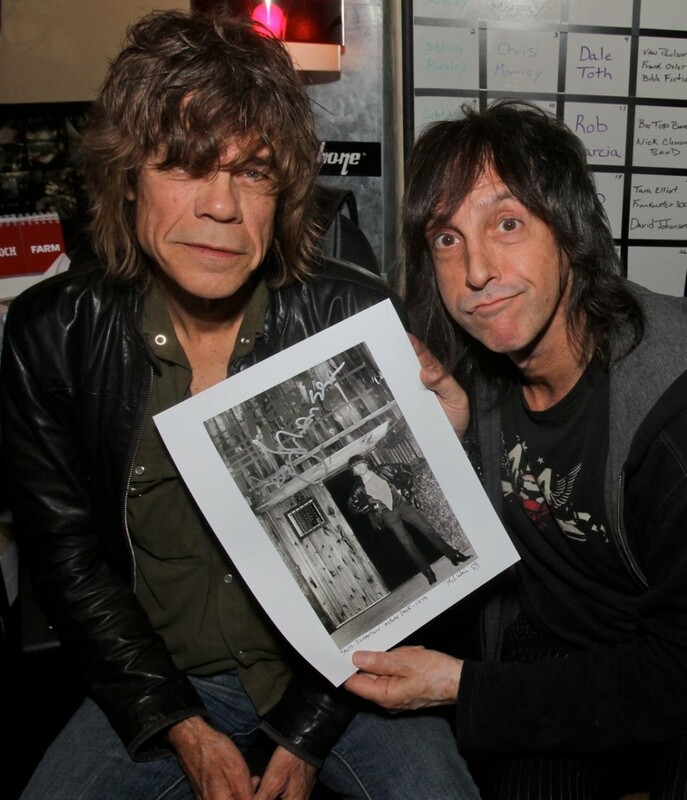 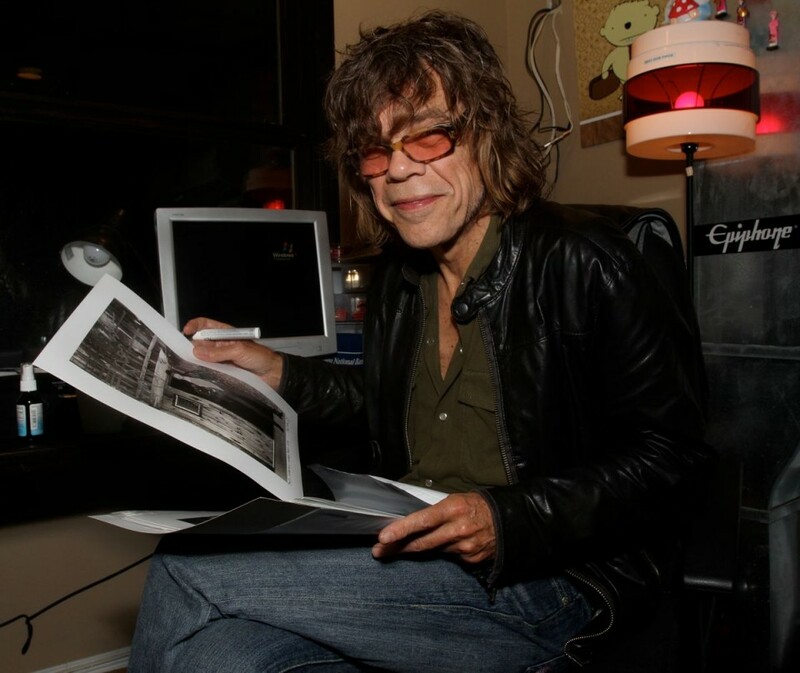 Later that month David Johansen, singer of the NY Dolls was playing at the Downtown in Red Bank. 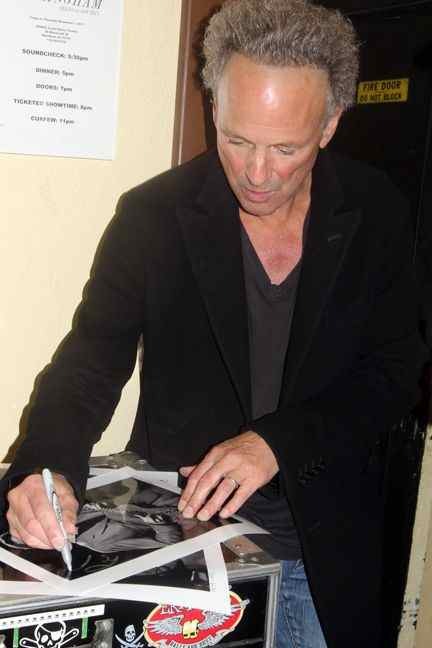 I went into my archives to print a few photos for LUNCH BREAK to raffle off at the show and David was gracious enough to sign a few to add to the value. 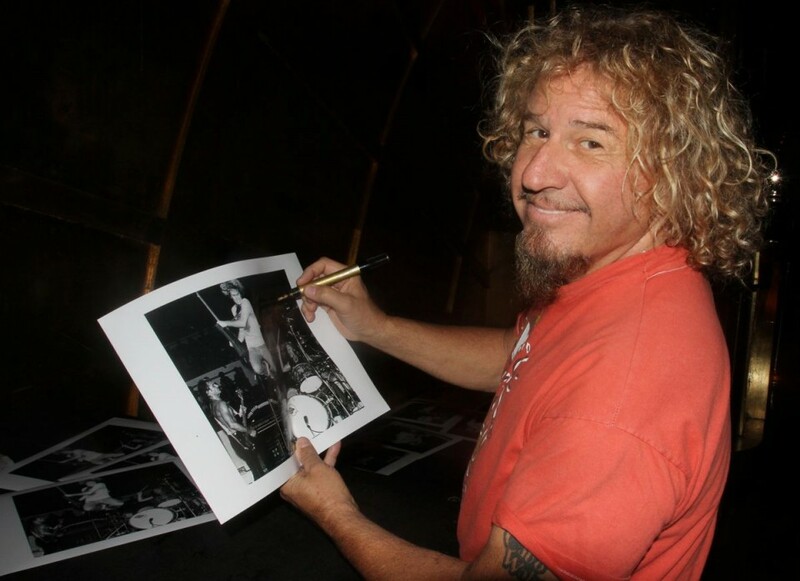 When he asked me where the shot was taken, I replied “outside the Fast Lane in Asbury Park, it was 1979 and the first time I ever photographed you.” The photos raised several hundred dollars that night with the help of LUNCH BREAK volunteers at the concert. 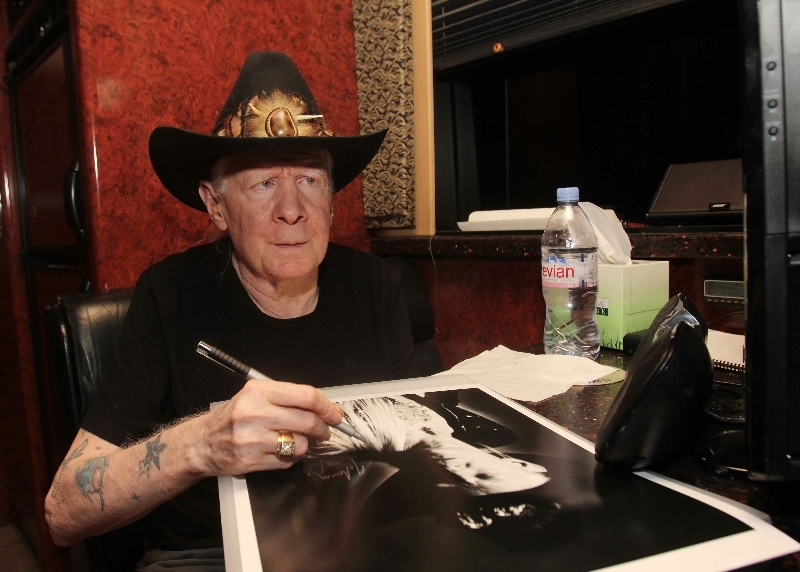 “The light bulb went off. 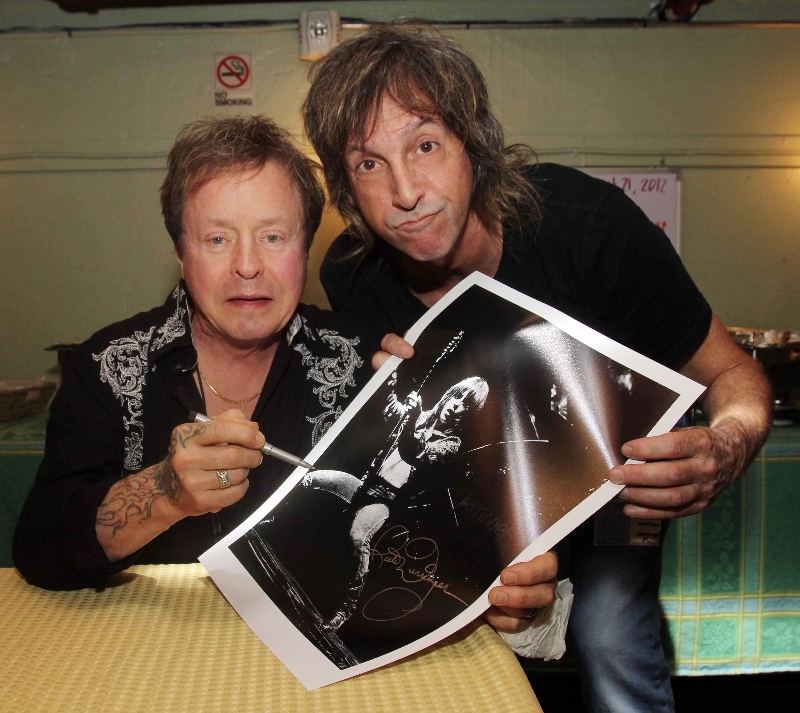 I would catch the bands when they were performing in the area and reach out to them to sign a few photos from my archives.” I began calling the campaign “FEELS LIKE THE FIRST TIME,” borrowed from the Foreigner song, and it was exciting for me to go into my archives from the early days of photographing the artist. 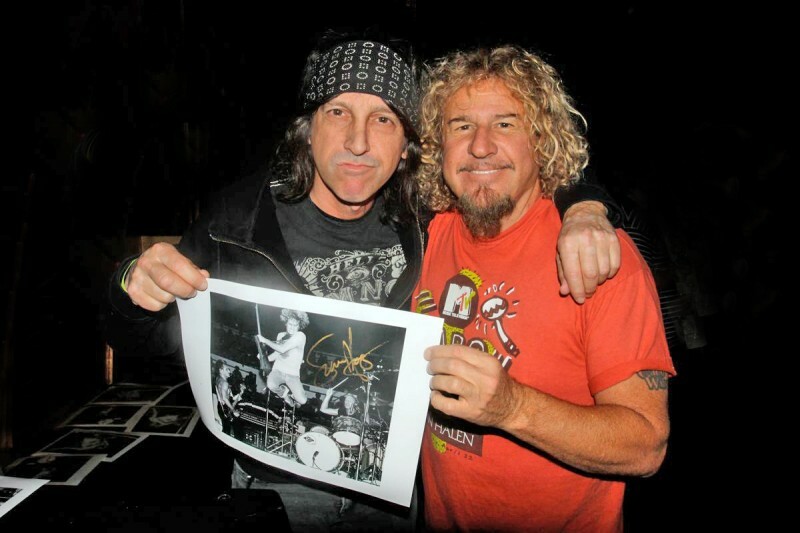 The campaign continued in November with Sammy Hagar. 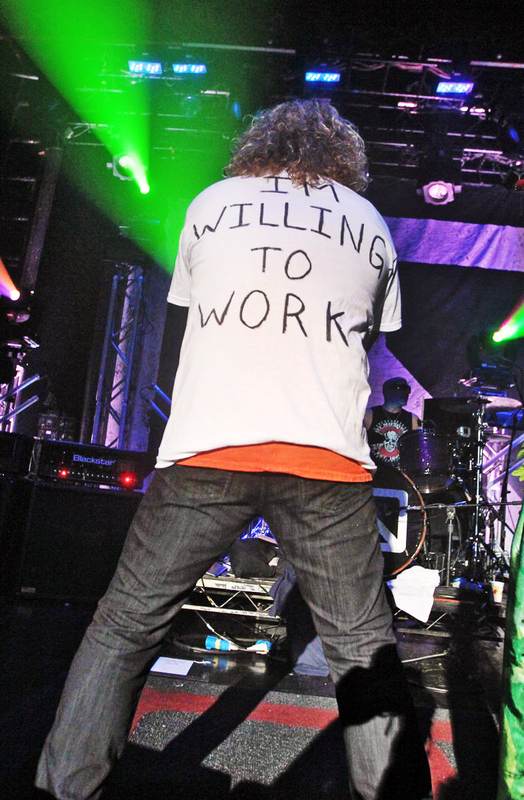 He just released the song “I NEED A JOB” with his band CHICKENFOOT. 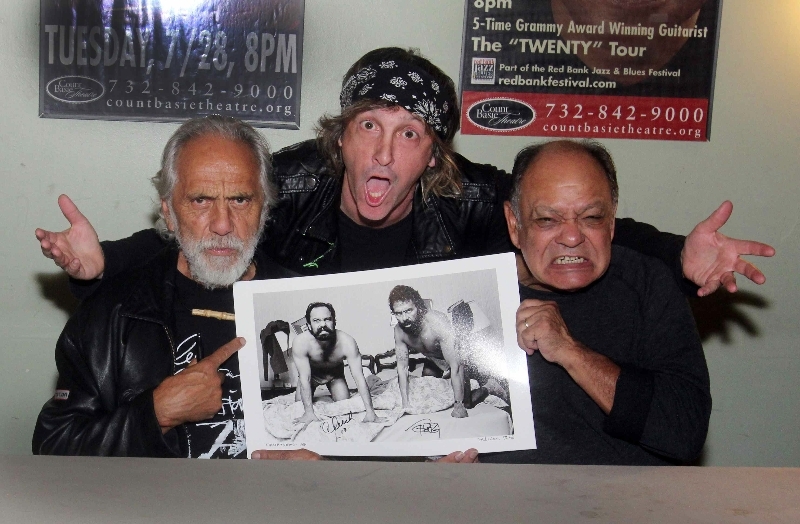 After watching the powerful video, I knew I was on the right path. 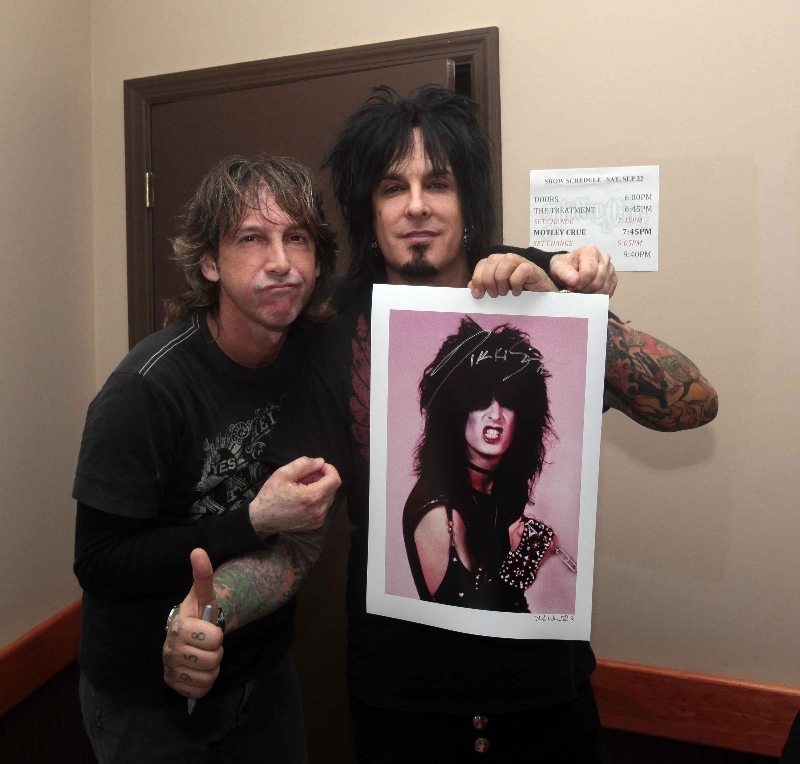 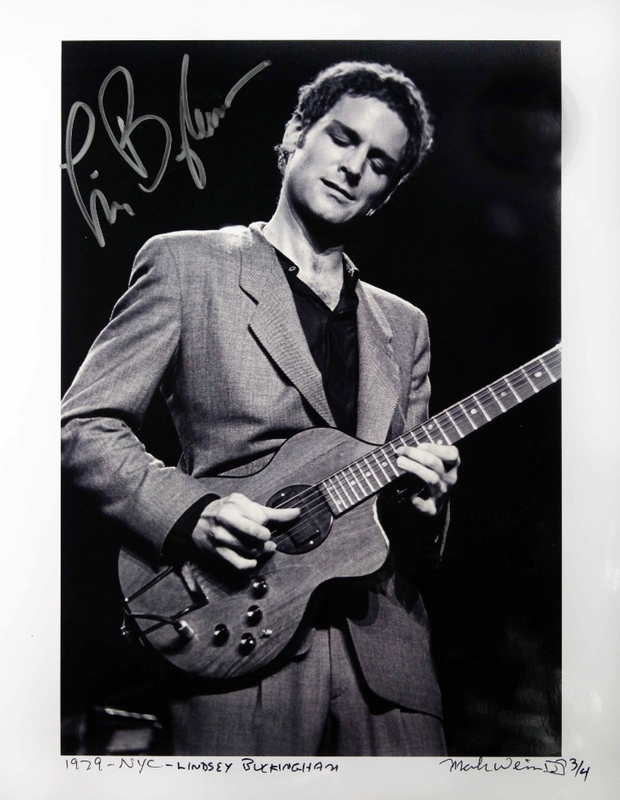 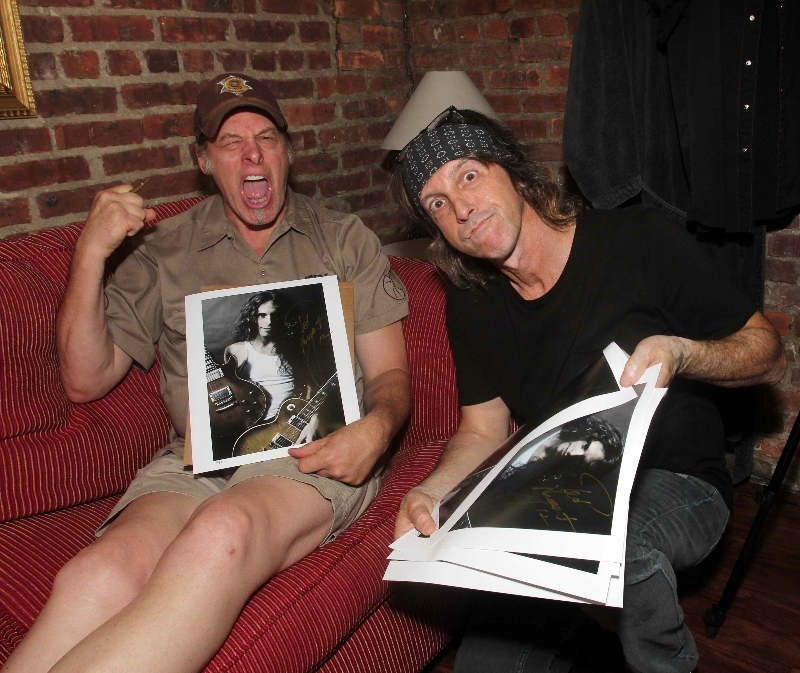 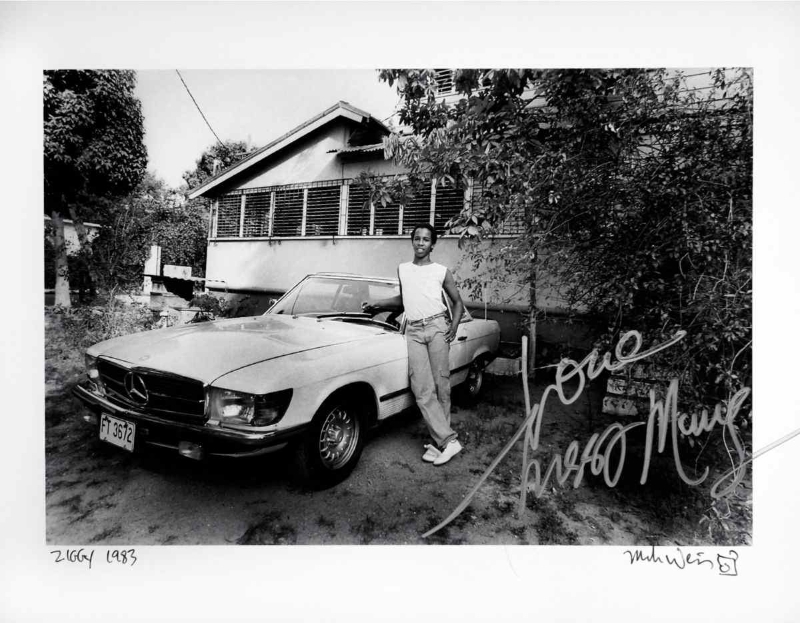 Mark continues to get his iconic photographs signed to raise awareness to benefit those in need. 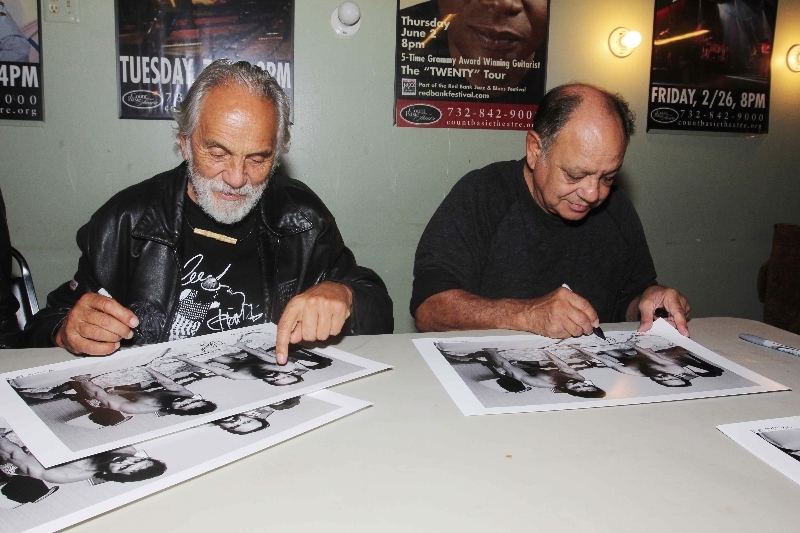 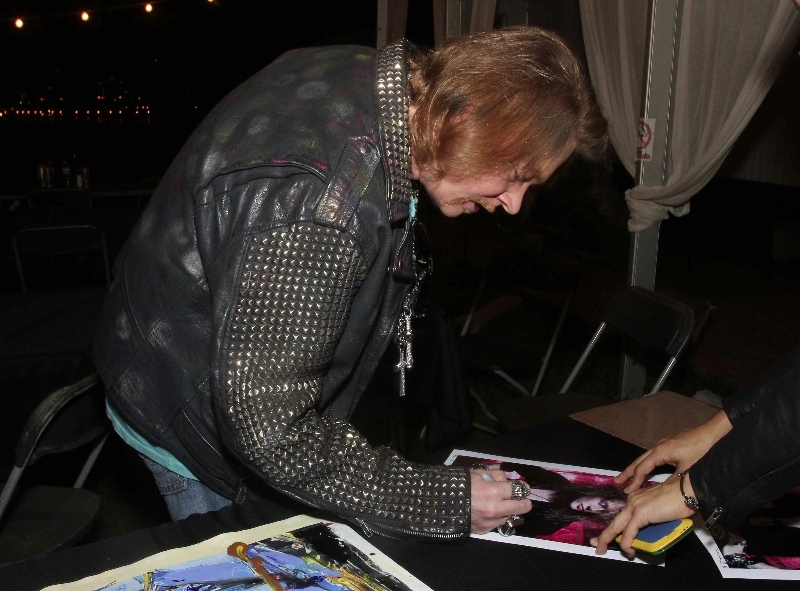 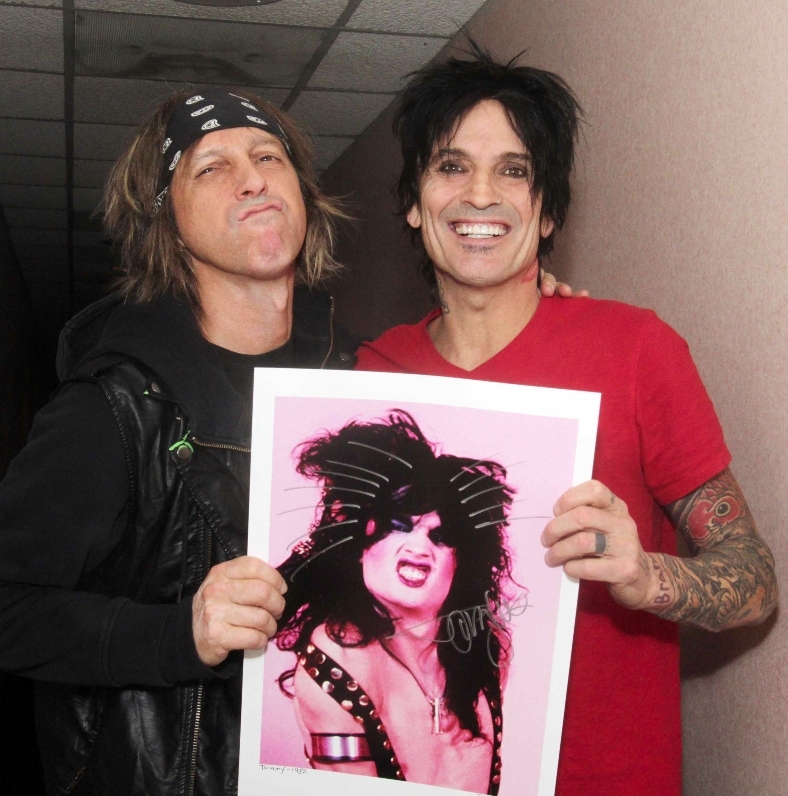 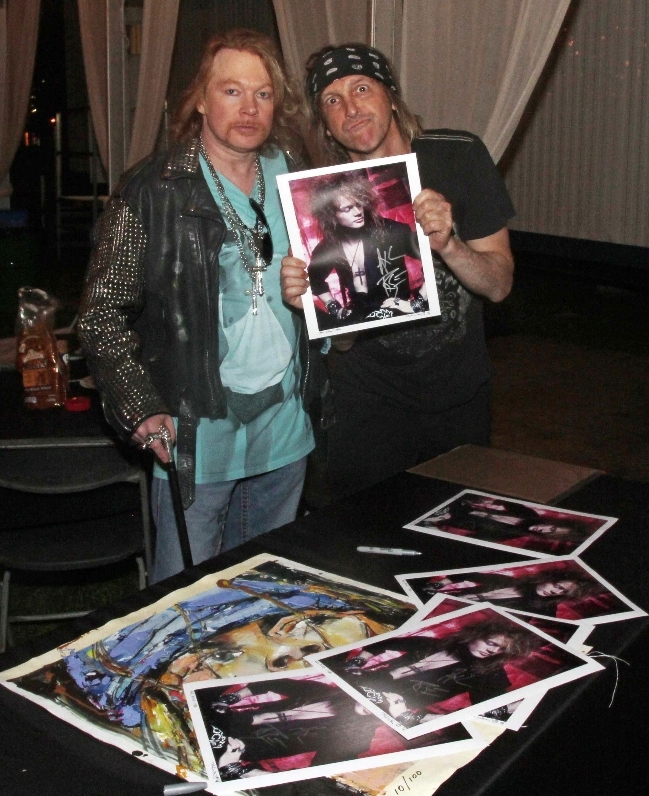 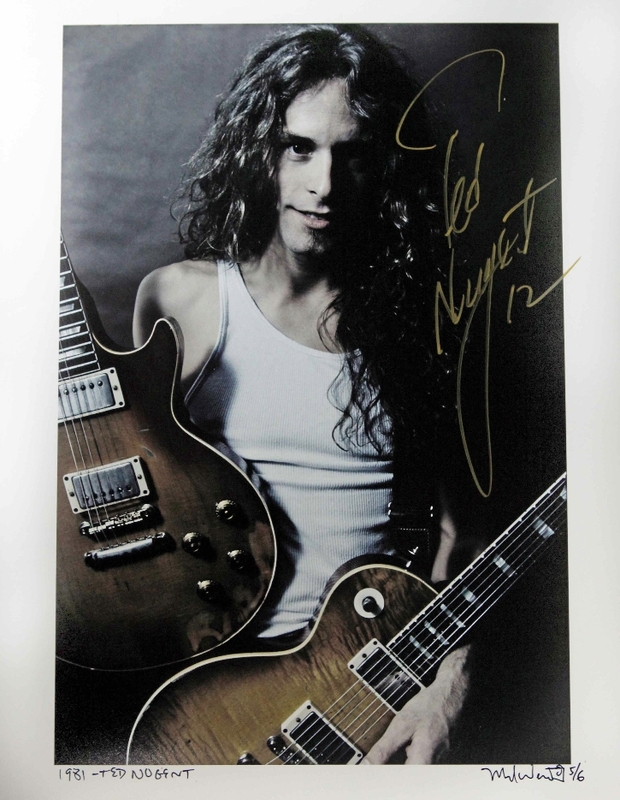 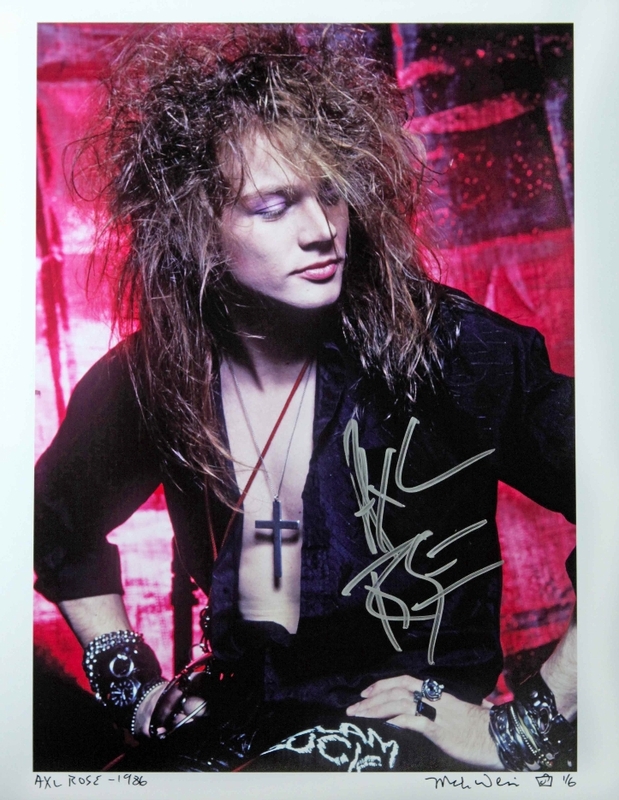 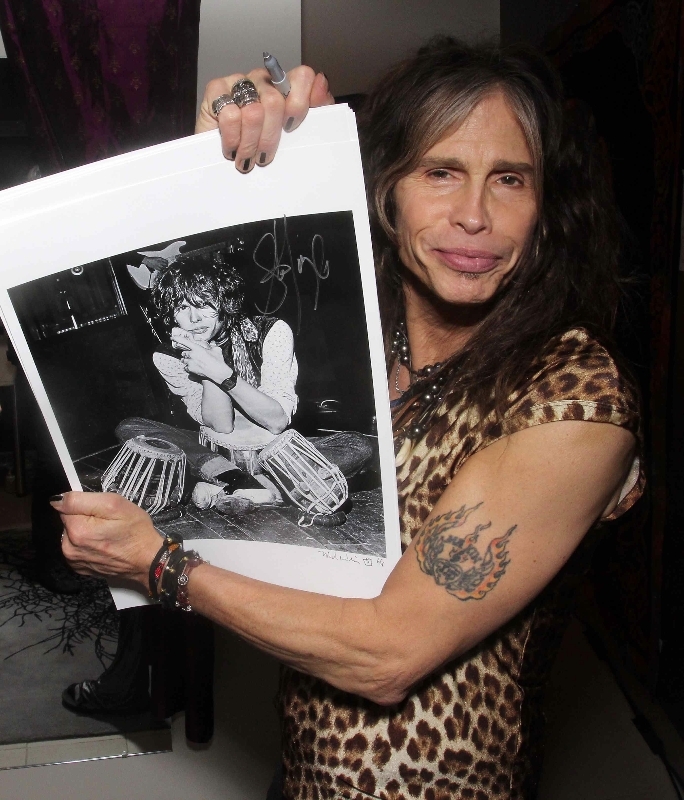 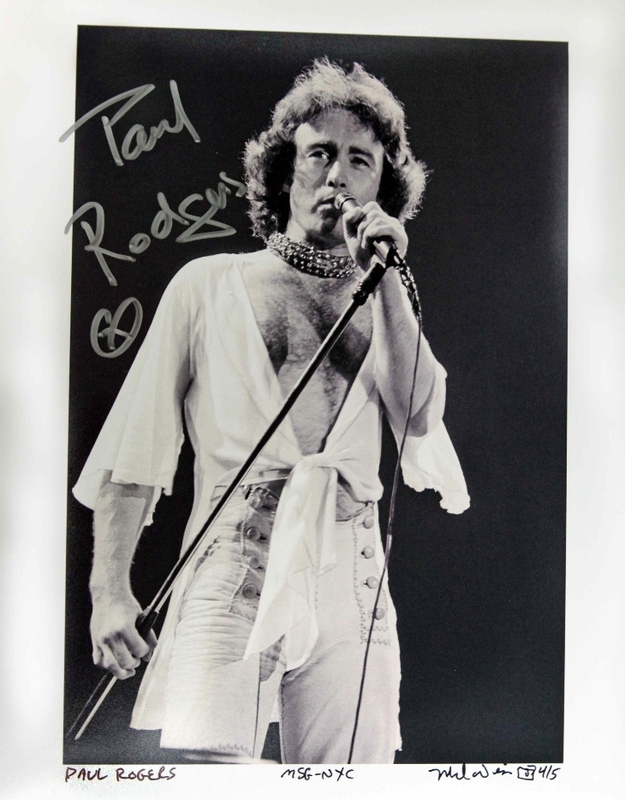 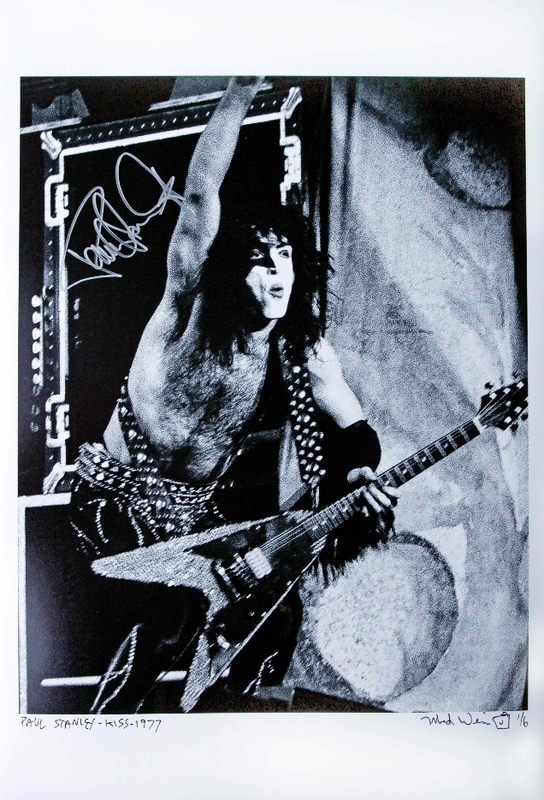 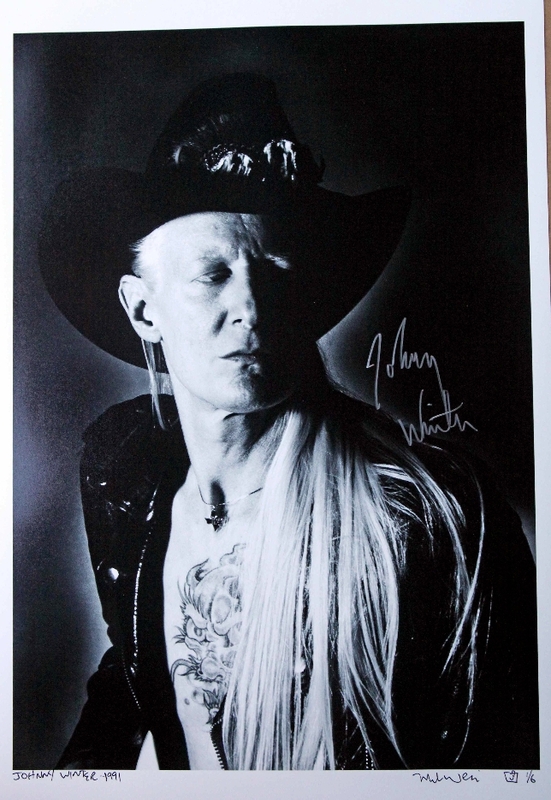 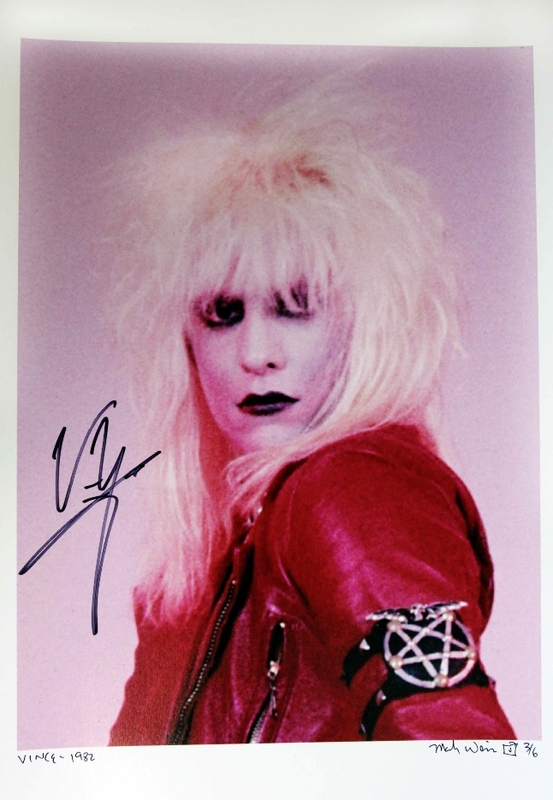 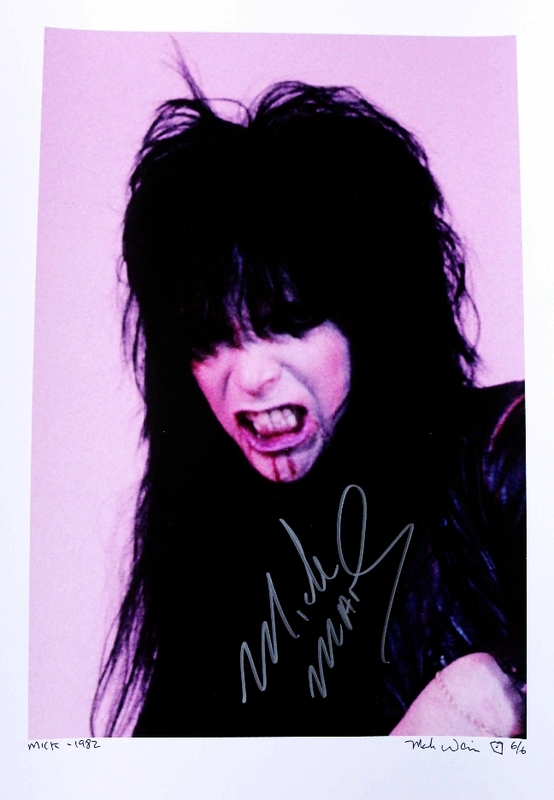 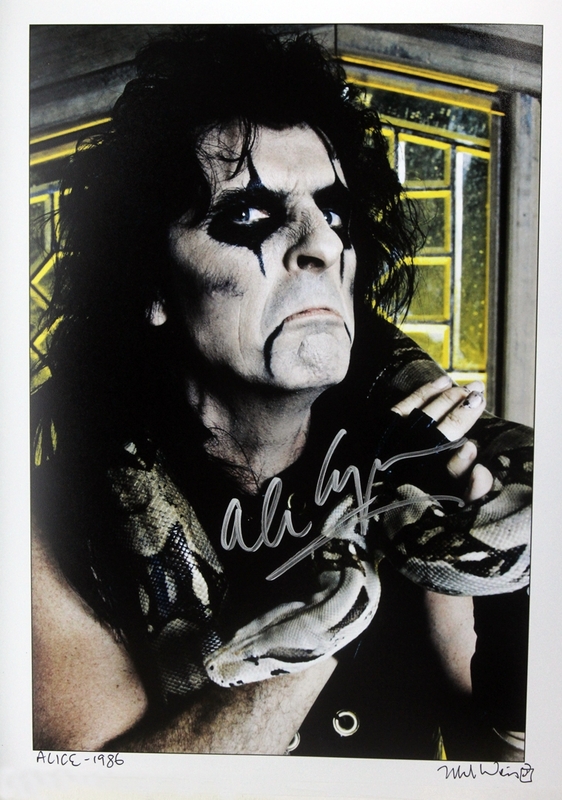 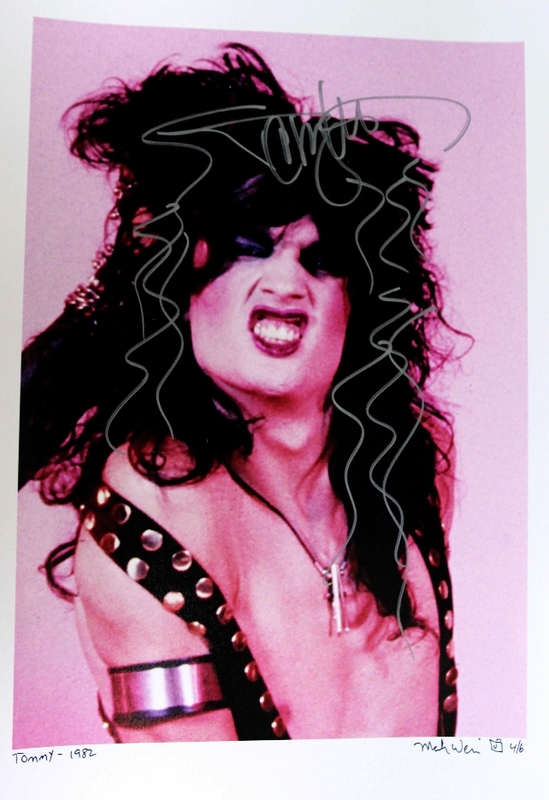 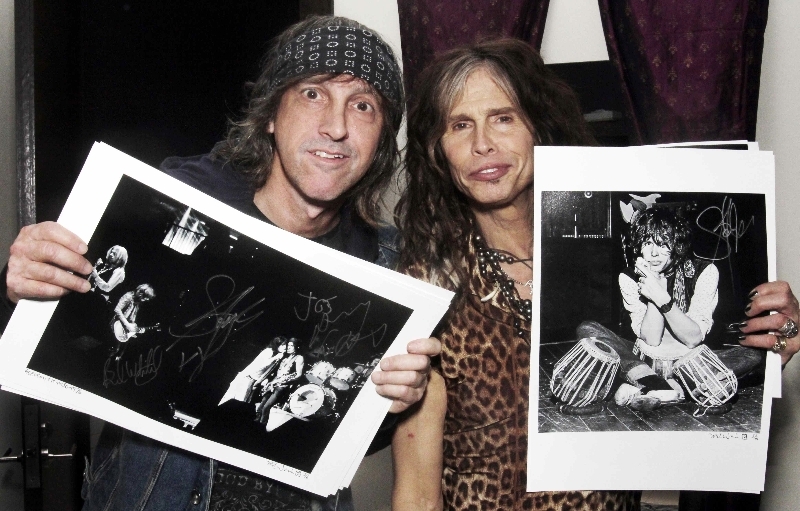 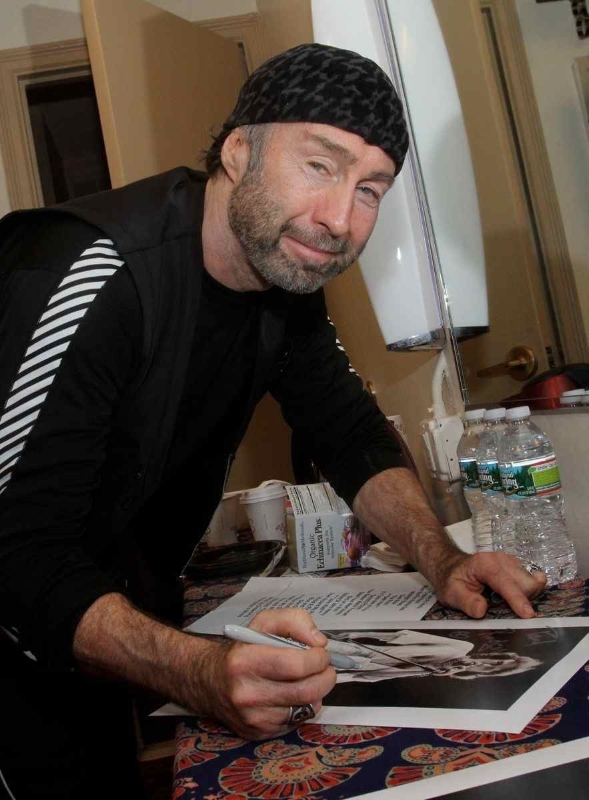 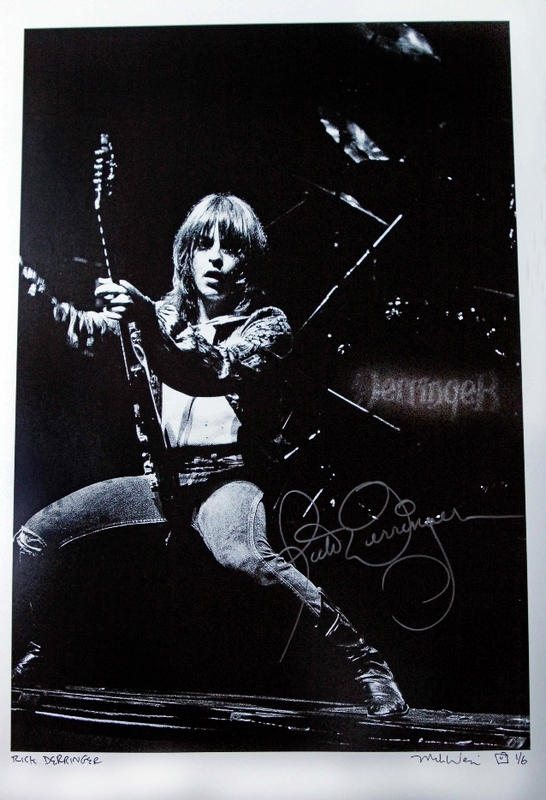 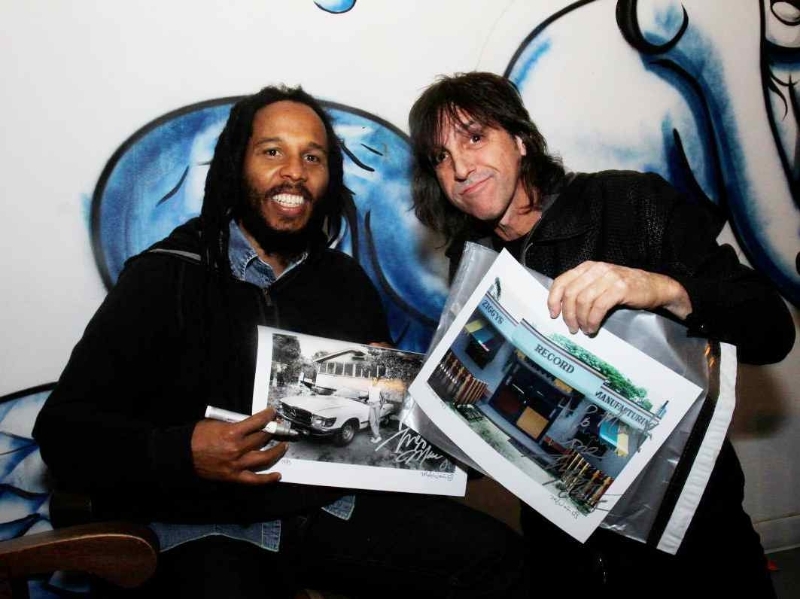 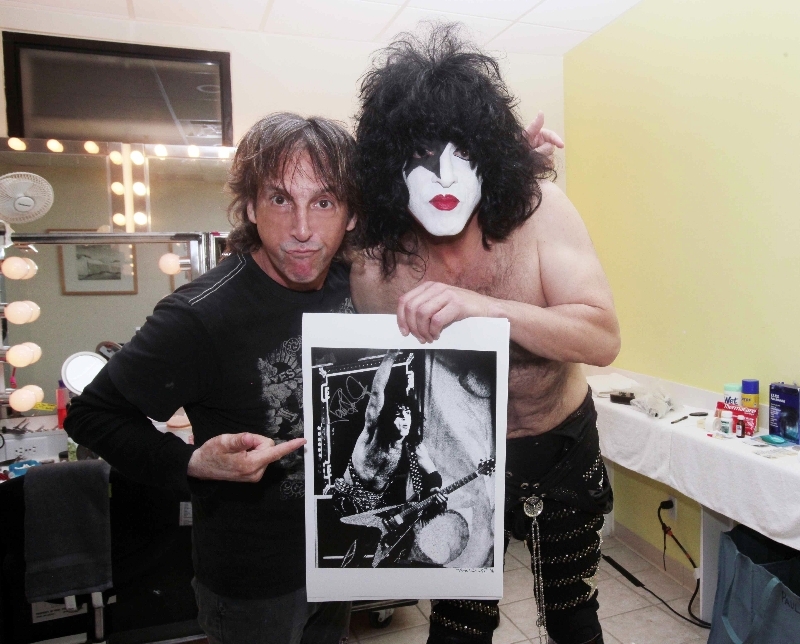 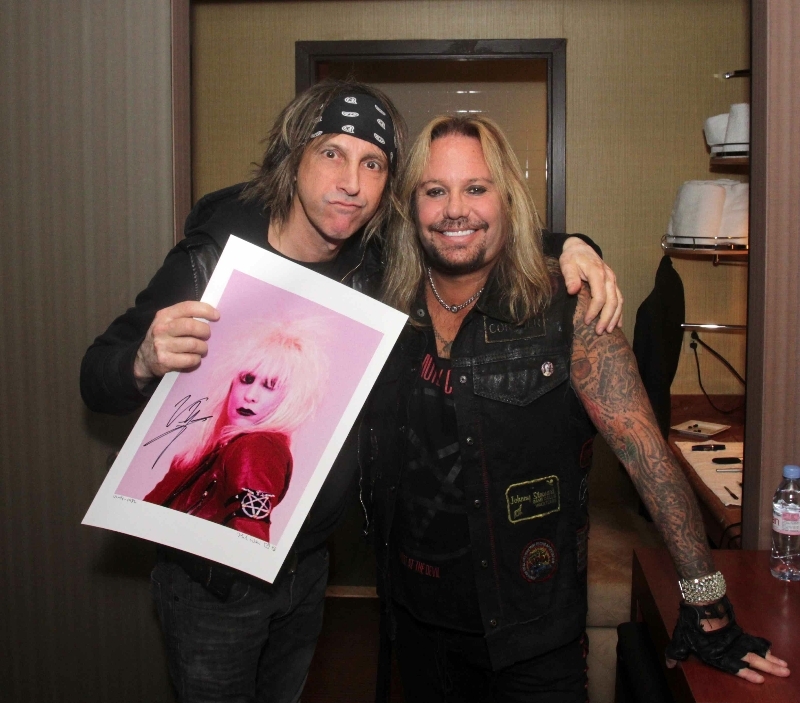 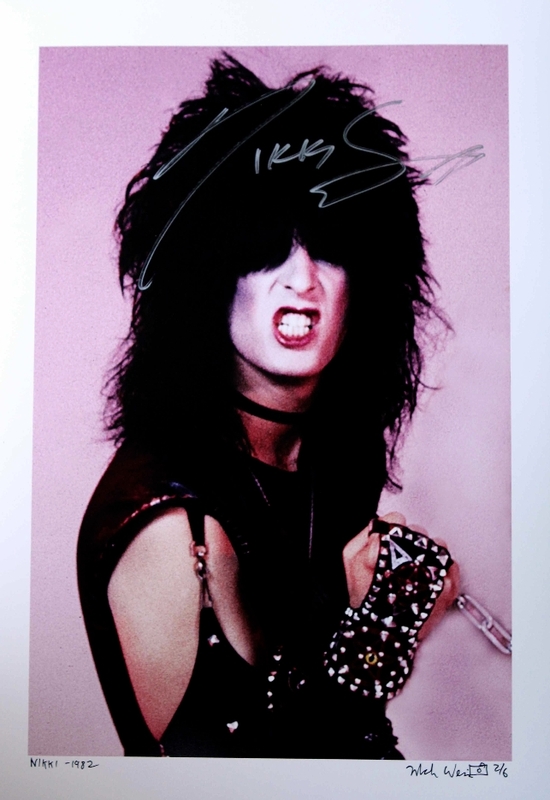 Axl Rose, Paul Stanley of KISS, Alice Cooper, Debbie Harry and most recently, Cheech & Chong are among the dozens of signed photos from this unique campaign benefitting foundations such as LUNCH BREAK. 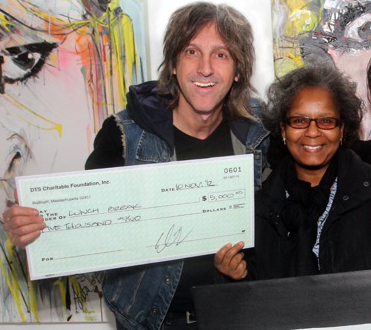 100% of the proceeds go directly to these worthwhile organizations. 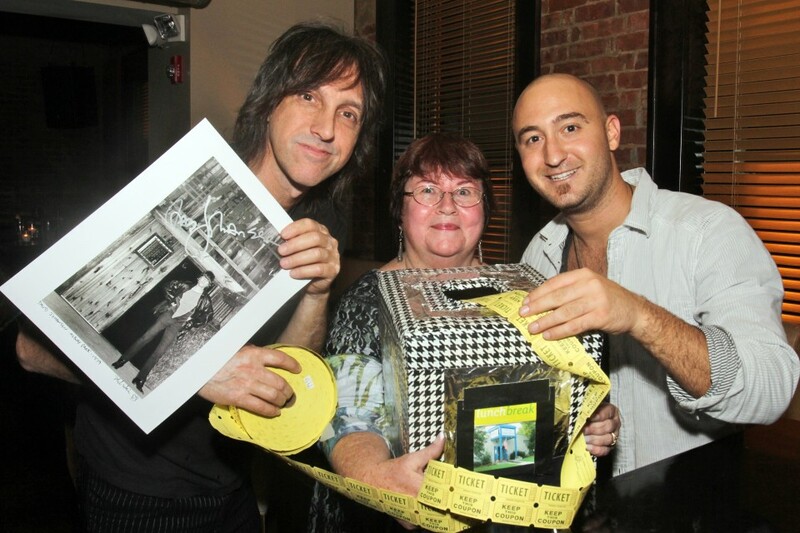 Artist David Banegas with Debbie Harry of Blondie and photographer Mark Weiss at the Banegas Gallery in Red Bank, NJ in August 2012.